Get your game on… in the shower! Relive your favorite classic gaming adventures in the tub with the original Game Cartridge soap! 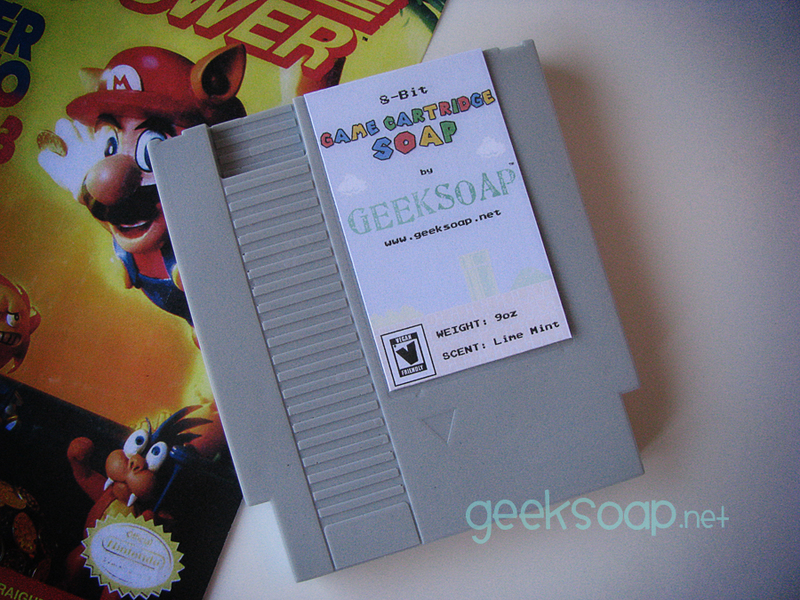 This game cartridge soap packs 8-bit power in every shower! Rated “V” for Vegan Friendly. Bonus: you won’t need to blow on these cartridges to get them to work. 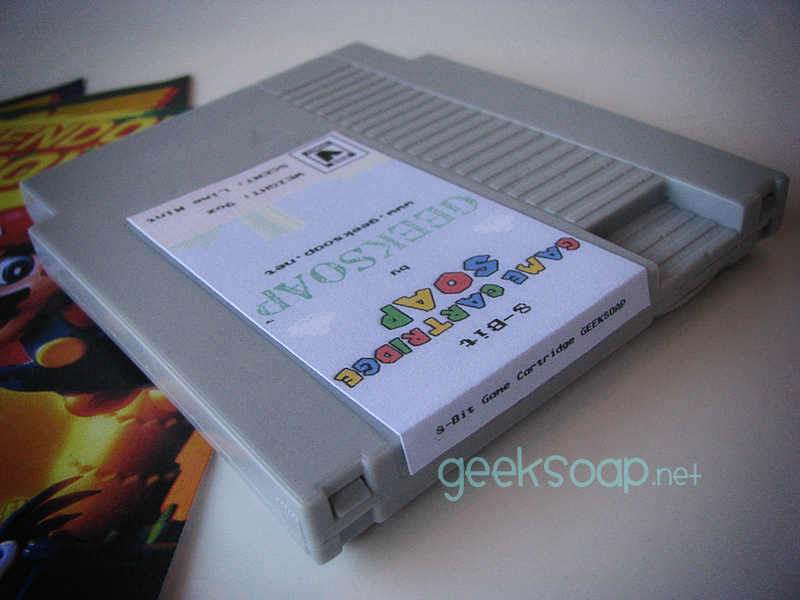 These were the first and original game cartridge soap bars on earth! They’ve been featured all over the Internet and published in gaming magazines; accept no imitations. 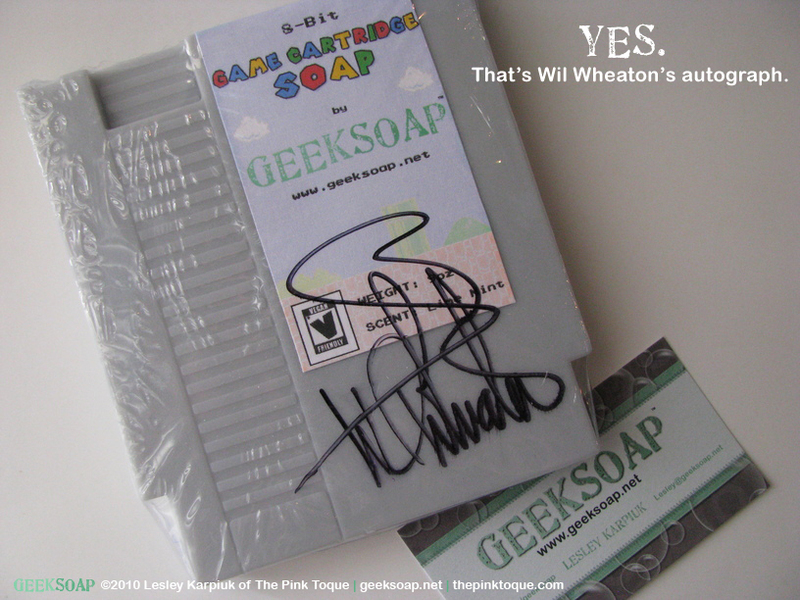 Wil Wheaton even has one, and has autographed a bar for me! Not a licensed or endorsed product. Your order is created fresh! Due to the holiday sale, please allow 10-12 business days for your handmade soap to ship. U.S. orders ship via USPS Priority 2-3 business day guaranteed with free tracking! 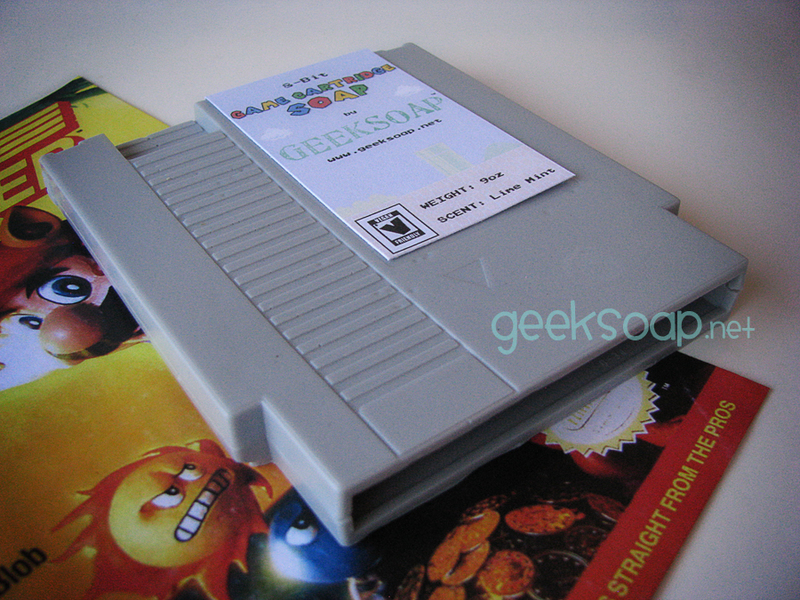 GEEKSOAP proudly uses PayPal to process orders safely & easily. 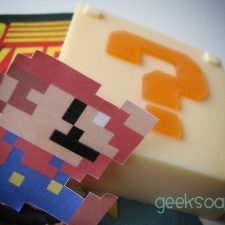 GEEKSOAP makes a great gift! Send the most geektastic gift! When you ship directly to the recipient and specify a gift note upon checkout, I'll write your personalized note myself to accompany your order. No additional charge, and no receipt or payment information will be enclosed. 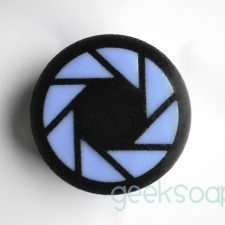 GEEKSOAP serves everyone and opposes discrimination of any type. GEEKSOAP © 2019. All Rights Reserved.